Biography: Hardeep Grewal is punjabi singer. He starts his career from his debut album Thokar. Hardeep got fame from his Title track of album Thokar, this song is very motivating song, second album of Hardeep was Taare, and now third album Bulandiyan is releasing on 19th feb 2018. 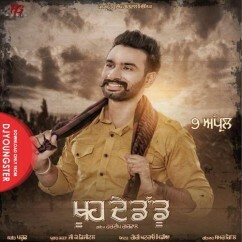 Keep in touch with djyoungster we will update first Bulandiyan Album of Hardeep Grewal.